Vision Control Films® change between transparency and translucency as the viewing angle changes. View control films can be used in a variety of ways in order to hide an object from view or highlight another. Create privacy from certain angles on glass conference rooms, partition walls, windows and other applications. View Control Film add interest and impact to any space or can be used for creative installation to create visual effects in showrooms, museums and retail spaces, the effect that brings is simply incredible! There are four types available of Vision Control Film. 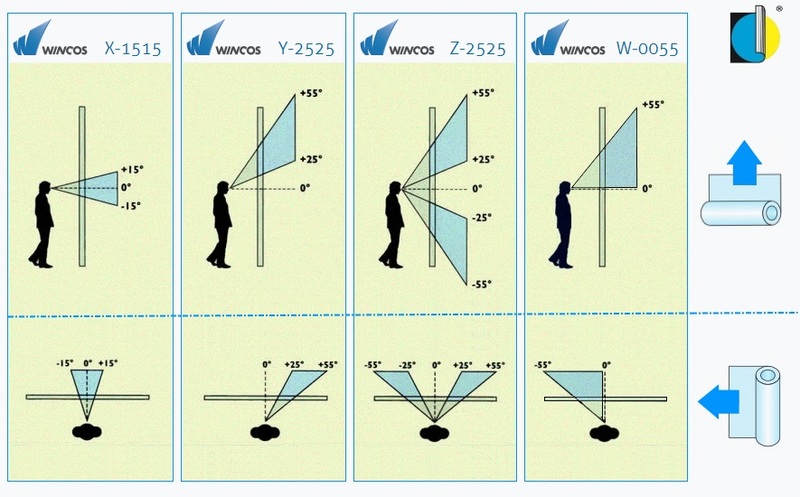 Each offers two choices of viewing angle according to whether the film is applied vertically or horizontally. This means there is a total of eight visibility options across the range.